Four light swag chandelier lamp brass with brown undertones mid century modern light fixture. 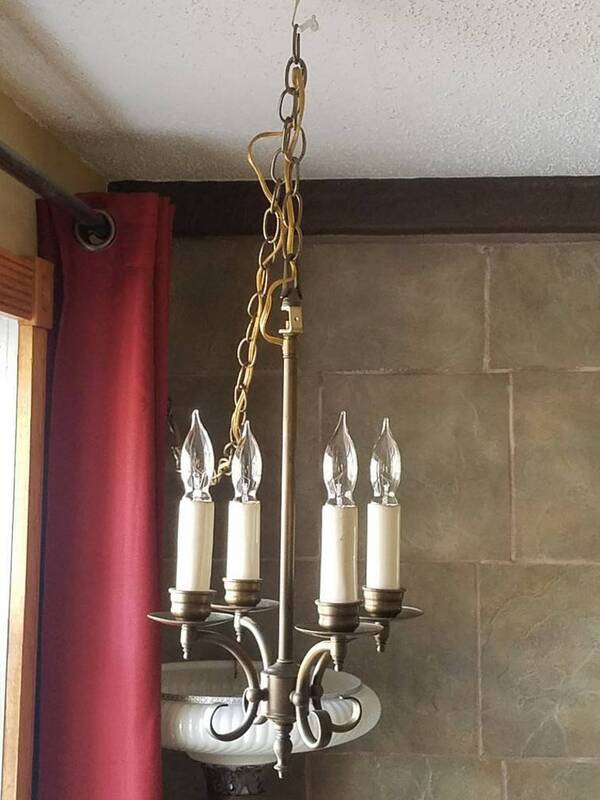 A four light swag chandelier made of brass with brown tones. This light hangs by a chain and has an on and off switch on the cord within reach. It's in perfect working condition. It plugs into a lower wall socket. It measures 29" tall x 8.5" wide and holds 4 standard light bulbs.